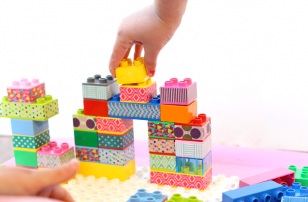 Letter Of The Week Activity – E! 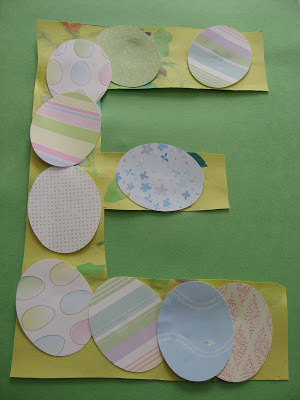 I haven’t done too many Easter crafts but I couldn’t help but do this very obvious letter of the Week Activity! I like using watercolors because even harsh reds and greens looked muted when they are done with watercolors. 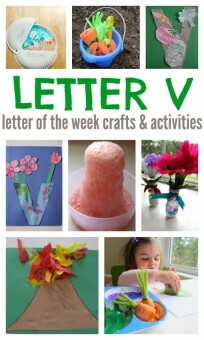 Remember, always talk about the letter and the sound it makes as you work through the letter of the week activity. Gather your materials. 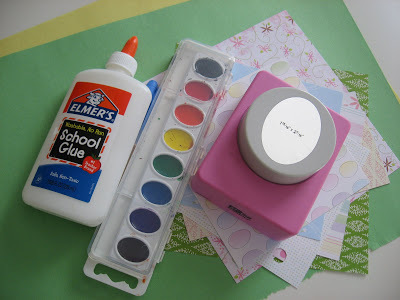 You will need 2 pieces of construction paper, some fancy cardstock (or regular old colored paper of any sort) scissors or an oval paper punch, glue, watercolors, paintbrush, and a marker. 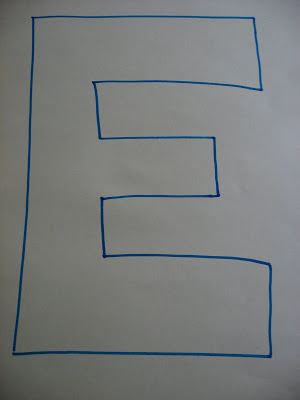 Write a large uppercase E on one piece of construction paper. 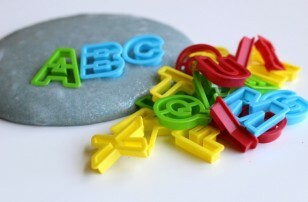 Be sure to leave enough space inside to decorate your letter. 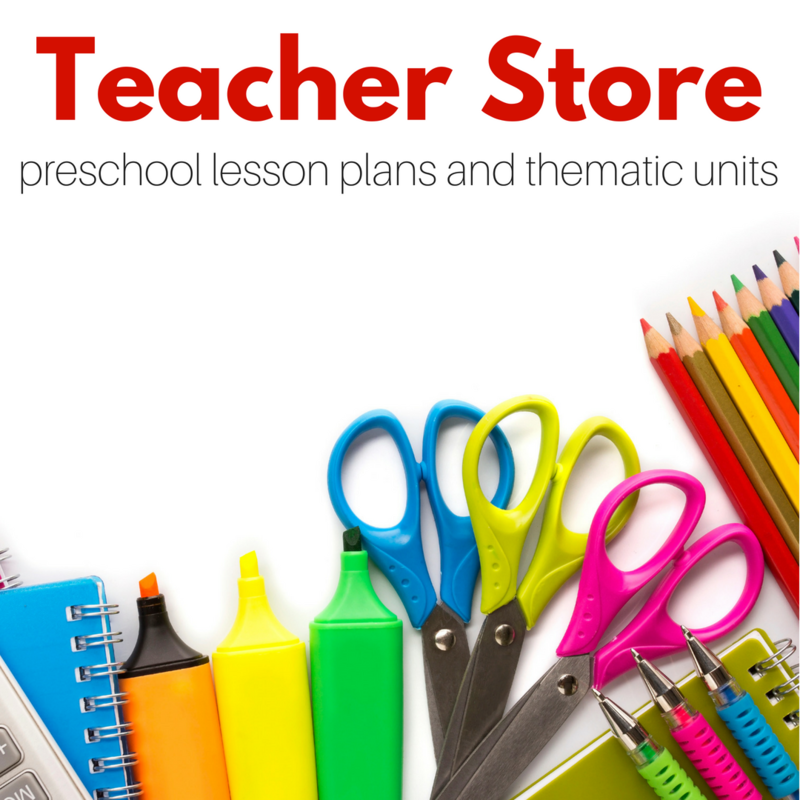 Have your child paint the E to their liking with the watercolors. 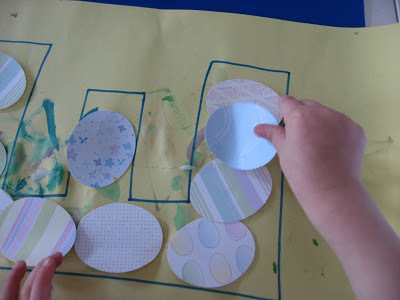 While they are painting, cut out multiple eggs from the fancy paper that they can add for decoration. 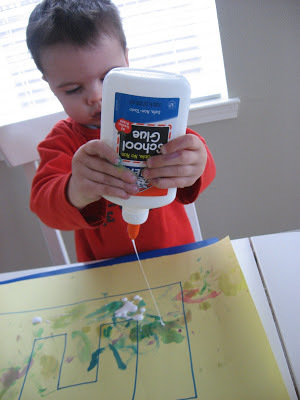 When your little Picasso is done, then add the glue. 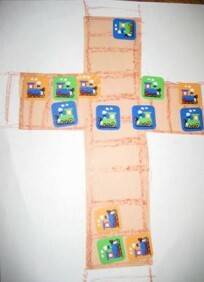 Add the eggs, my son was so speedy with this I barely got a photo! Let everything dry thoroughly once your egg shapes are in place. 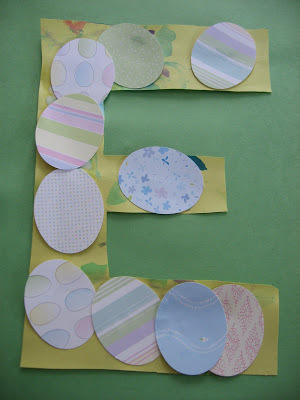 Cut the E out and glue to the 2nd piece of paper. 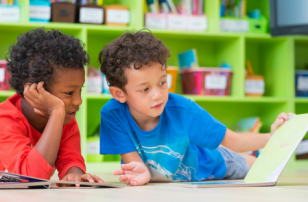 Looking for more great Easter activities? 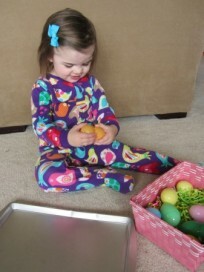 Check out all of our fun Easter ideas! Next Post: Post Exchange ! Thanks, it turned out way cuter than I was expecting, it’s now serving double duty as an Easter decoration as well as our letter of the week! So cute! I think when we finish up the ABC’s this time I’ll be working them in depending on our mood and holidays instead of going in order again! One question – where did you find your big punches? I can’t seem to ever find the shapes I’m looking for – I have some smaller ones for my own screabooking stuff, but with projects like this the bigger ones would be better. Your ideas are always sooo creative!! Just in time for Easter – genius! 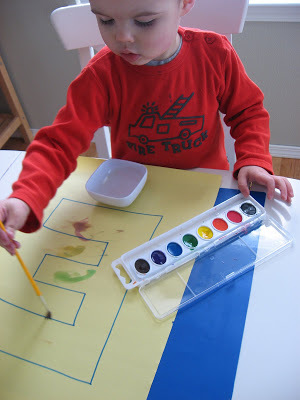 I like your Envelope E. I mentioned it and linked to this post in my Letter E activities article:) Thanks!